Valentine's Day Heart Shape Sandwich/Cookie Cutter $2.11 + FREE Shipping! You are here: Home / Great Deals / Amazon Deals / Valentine’s Day Heart Shape Sandwich/Cookie Cutter $2.11 + FREE Shipping! Valentine’s Day Heart Shape Sandwich/Cookie Cutter $2.11 + FREE Shipping! 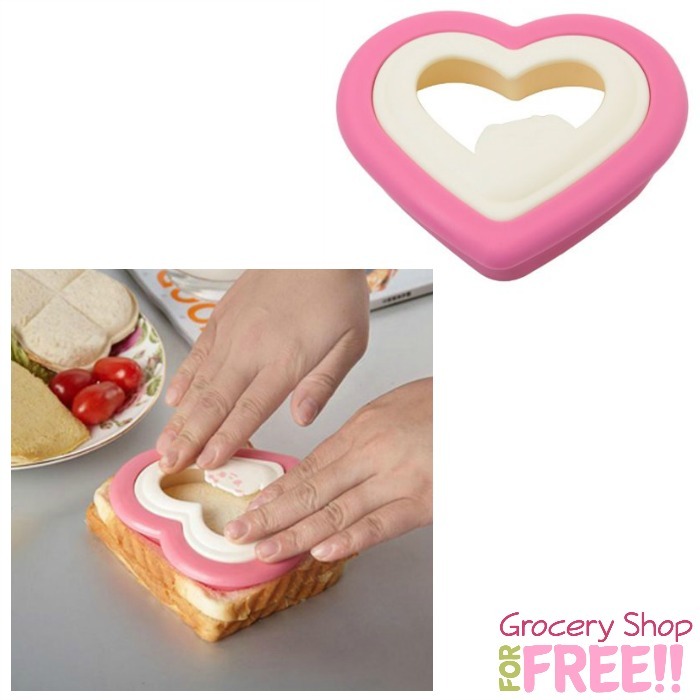 Heart Shape Sandwich/Cookie Cutter Only $2.11 + FREE Shipping! Here’s a super cute deal for school lunches, and even Valentine’s Day! You can get this fun Heart Shape Sandwich/Cookie Cutter for only $2.11 + FREE Shipping! This item is a simple and easy-to-use sandwich cutter. It can make making sandwiches and toast more exciting. It will make children happier when they eat sandwiches.